Working with The Ayzenberg Group and with Microsoft as a client, I ran a social campaign on Twitter and Facebook to support and promote the Xbox One Tour, from October 2013 - February 2014. This included sourcing and sharing interesting real-time photos showcasing fan interaction on Twitter (4256 followers on new @XboxOneTrucks Twitter account) and Xbox Instagram (132k followers). I increased engagement and got fans to share their photos and experiences of attending the Xbox One Tour truck stops across the US and Canada, by tweeting on @XboxOneTrucks, sharing photos/videos on Xbox's Instagram account, and announcing all Xbox One Tour and Area One stops on Xbox Facebook page. -Drove 44K trial impressions of product, 16 million vehicle branding impressions, 45K social media mentions, 18k mentions of #XboxOneTour hashtag, 224k Instagram engagements, and $168k in total travel branding value. Read the archived Storify here. 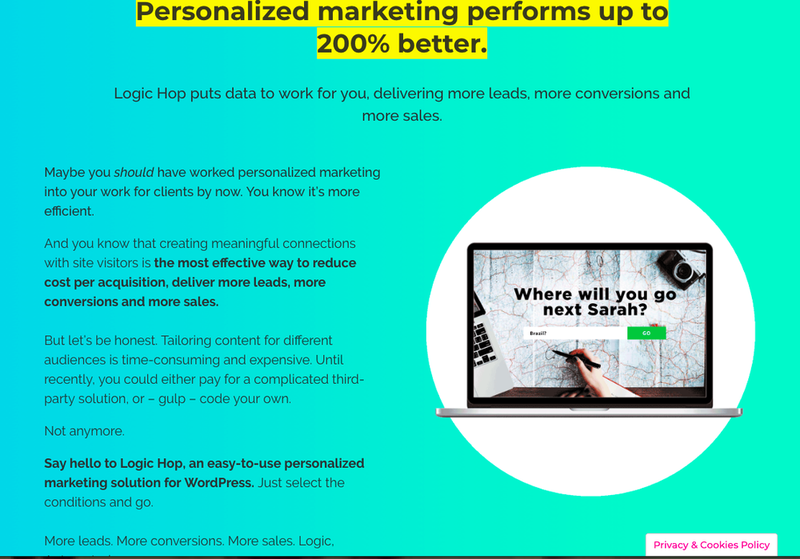 rewrote landing page copy for this early stage content personalization saas company, which needed a full marketing overhaul and copy rewrite with the goal of clearly communicating the value of logic hop and getting new subscribers to their monthly service. My rewrites can be seen here (and in the screenshot below). Blog posts and newsletters aimed at ecommerce businesses, focused on lead generation and increasing conversions. UGC (user generated content) is being generated by your customers right now, whether you like it or not. They're sharing their thoughts about your product or service through social media...the good and the bad. So you might as well see the positive side here: your customers are doing work for you - FOR FREE! Plus, people who interact with UGC are 97% more likely to purchase! There's more than one way your company can approach implementing UGC into your conversion strategy. Check out the full article to see what's most applicable to your business. Hope you find these examples useful. BLOG POSTS AND SOCIAL MEDIA CONTENT TARGETED AT GROWTH HACKERS AND DIGITAL MARKETERS FOR A VIRAL ENGAGEMENT AUTOMATION PLATFORM FOR MOBILE APPS. Helping private feedback app connect with their user community through social media and expand brand awareness, I took over their social channels and blog posts to better target their audience of small business owners and retailers. I created an infographic for this instant pay platform site about millennials and generation z in the workplace. it’s being used in their marketing to recruit more people from these generations to use their platform. See the entire PDF here. Took over social media channels for an online marketplace matching interior designers with independent artists. 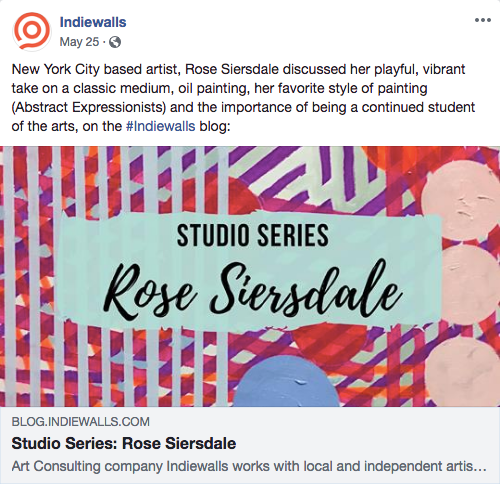 I created daily facebook and instagram posts designed to show off completed indiewalls projects, introduce new artists, and serve as calls to action to apply for new projects. Click image to read the accompanying Studio Series blog, which I also wrote. Witty social media posts (using puns and emojis!) designed to generate new leads and provide thought leadership in packaging design and custom packaging industries. From December '13 to November '14, I created social media strategy as well as planned and implemented a daily social media editorial calendar for this shopping search website and mobile app. When I came on-board as a consultant, they didn't have a central person managing their social channels, didn't know yet what type of content worked, had very little engagement on posts, and weren't sure what their audience wanted. I took over their Facebook page, posting twice daily, 7 days a week and also revamped their blog, Instagram, and Pinterest channels. -Increased Facebook followers by 14% during the first quarter, and by 60% over the last 11 months. Since their only paid advertising was done on Facebook, social outreach and follower growth for this channel was the main focus. -Grew Instagram channel from 7 followers to 87 in one month, through a Back to School social contest and strategic content. For this mega-mommy ecommerce brand, I handled daily social media posts for FB and IG, wrote email newsletters, and did influencer outreach, connecting with mommy bloggers for Instagram giveaways and contests. 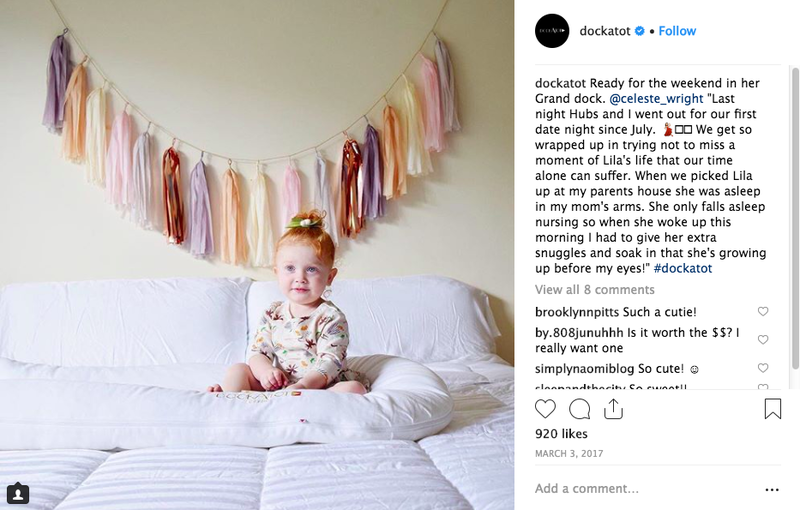 I also featured UGC posts on DockATot's channels from happy customers and influencers—they experienced huge sales growth using these methods. I’ve worked for many clients in the health & wellness space, which is also one of my favorite industries. Here are some examples of that client work. I set up and managed social channels on Facebook and Instagram for both of these healthy beverage companies—DoMatcha is a matcha tea brand globally recognized for its high-quality, and Kate Farms is an all-natural, all-organic liquid meal replacement beverage for athletes and people with medical conditions. Working in tandem with a digital marketing agency, I created a content marketing strategy meant to update and enhance their current brand presence while attracting and engaging more prospective customers. Launching a new blog and starting social media channels was one part of this process. Click here to read sample blog post. Led and managed marketing campaign to drive awareness, user participation, Web sign-ups, and app downloads around political advocacy app, Countable. Developed all copy, creative, and strategy to promote their new offering via a Facebook ad campaign; Local Legislation pages which showed all local bills up for vote. This was first rolled out in New York and then San Francisco. I created NYC and SF-focused Facebook ad campaigns meant to connect with locals on local issues, while tapping into a sense of insider information. NYC issues that got great engagement were around alternate side parking, tourists in NYC, and not relying on your bodega guy for all your information. In SF, the issues focused on were rent increases, gentrification, and affordable housing. The campaign also included partner outreach, advertising in relevant Facebook groups and blogs, an email newsletter campaign, and supporting social media promotion. Here are some ad examples that did really well engagement-wise and toward driving people to the website. To reach San Franciscans where they LIVE, we used well-known local character Frank Chu, who is an activist in his own right, to get people activated. We also made references to ridiculously high rents and housing shortages, a timely issue that all San Franciscans can relate to. 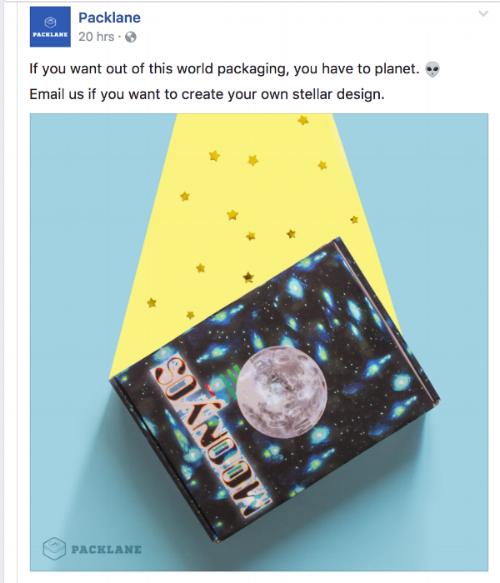 I created content and managed all social media channels for full-service digital creative agency, Kindred (formerly Formium). Posts like this one for LinkedIn were designed to generate new leads via sharing social stats that show results gained for the client. This infographic for Ahnu Footwear got 6.25% engagement on LinkedIn. I crafted engaging and timely updates for Formium's News page (and later Kindred's blog) to showcase their recent client work or for more light-hearted posts about current events like Movember. This later expanded to include writing longer think pieces designed to firmly root Kindred's presence as a thought leader in the digital marketing space, like the below long-form blog post on "Creativity and Business." I wrote and shared this post on various social media channels (LinkedIn, YouTube, Vimeo, Facebook, Twitter) to share Formium CEO Monika Rose's thought leadership on creating brand authenticity at last year's Conscious Capitalism conference. Video is here.